I mean... yeah. Yeah. Just makes sense doesn't it? It shouldn't, but it does. The thing is though, it might not even be the most Everton thing to ever Everton in the history of Everton. This might be. 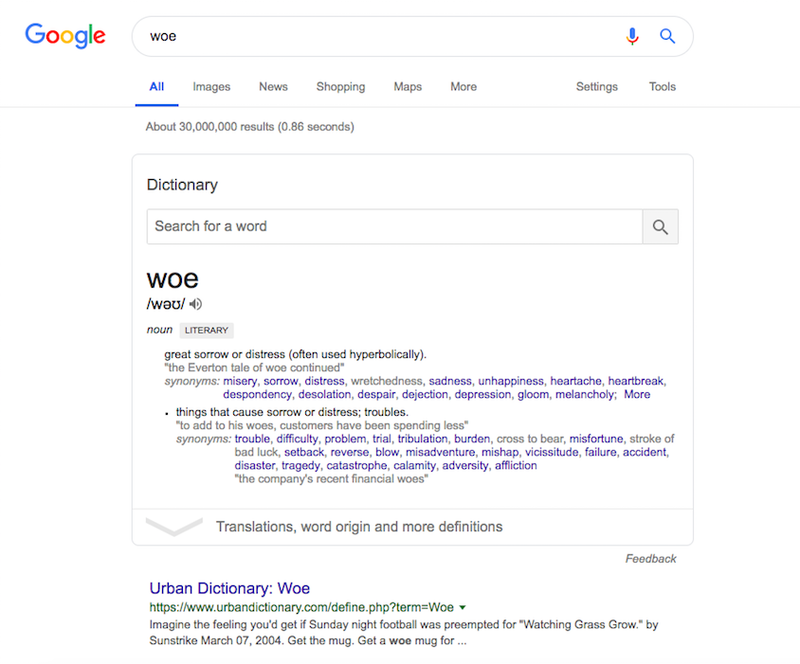 This might actually be the most Everton thing to Everton in the history of Everton: Being used in an example sentence for Google's dictionary definition of woe. I mean just read it. 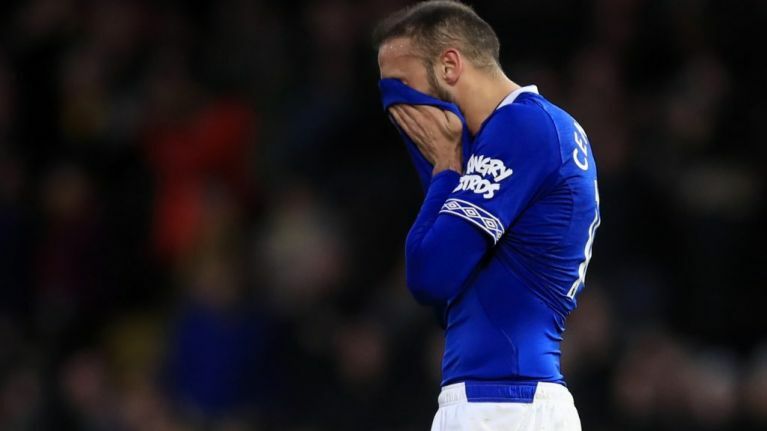 Woe, noun; great sorrow or distress; "the Everton tale of woe continued". Is this it, getting rinsed by a dictionary for no reason? Is this the most purely Everton thing possible? Because it's definitely up there. They could have used literally anything as an example. And yet they chose Everton. They chose Everton and stuck it up on the internet for all to see along with words like misery, and sorrow, and heartache, and heartbreak. Despair, dejection, desolation, depression. And Everton. To all the Everton fans out there: I'm sorry for bringing this to your attention. I'm even more sorry for bringing it to the attention of the Liverpool fan who immediately tagged you in the replies. If it's any consolation, I support Aston Villa. I love them and I hate them and over the years the pain they have brought me far outweighs the joy. But I think that's the whole point and I think you already know that by now. Woe isn't me after all. Woe is Everton.